Thanks for visiting. 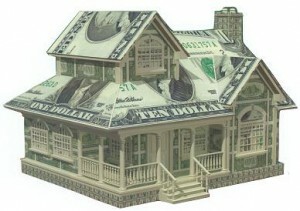 I offer a FREE In Home Pricing Analysis for anyone that visits my website! Comparable Market Analysis of homes that have sold and are currently active in your area. I’ll do a full comparable square footage to square footage, upgrades to upgrades, and more. We will point out tips that would help you home sell faster at high dollar by placing items in certain places or adding accents to your home. You will find out what price is too high and what price would get your home sold faster to give you the profit that you want. We will use a formula to determine how long homes are staying on the market in your area and what your estimated sell time should be. You will receive professional advice about the condition of your home and any changes that should be made, also advice on the best time to put your home on the market for an effective sale. We will help you strategize the best listing price to prepare for offers that may come your way once your home is on the market. We will create a custom marketing plan for your home to target the new buyers that your home is built for. Please Choose a day or time that would work best for you and enter your contact info below. If you’d prefer an online analysis, please fill out the contact form below and we will email you the estimated value of your home.